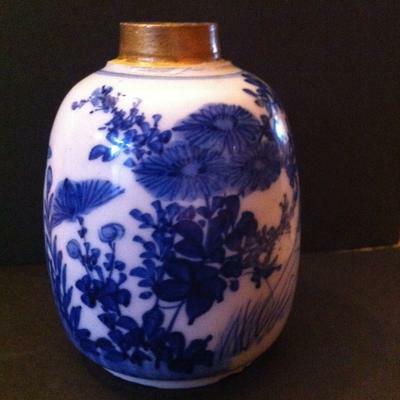 I am a complete novice with regard to Chinese ceramics and it seems to be a bit of a minefield out there! I would be very grateful for an opinion on this little jar I acquired recently. It is 12 cm tall and weighs 253 grams. It has definitely had some restoration. The unglazed neck has been restored and then painted gold, which I am sure is not original. 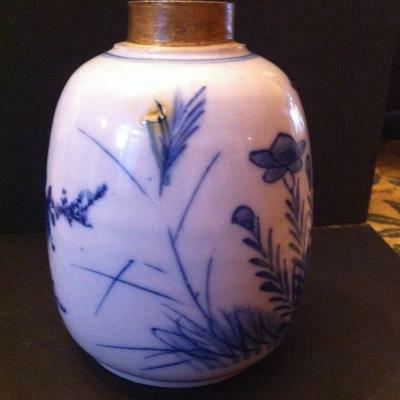 There is also what seems to be a restoration on one side, as the colour and texture of the glaze is different. After hours (!) of searching on the web I think that the naturalistic style of painting and the deep cobalt colouring suggests it might be from the transitional period but I just don't know the minutiae of this extraordinary art form! Would be very grateful for any further info or opinions. Comments for Chinese bottle, unknown age. Thanks for the extremely prompt reply. I am profoundly impressed! After a close look at the decoration through a magnifying glass, I don't think its printed. There seems to be too much variation in colour and shape. You see all sorts of exciting things through a magnifier (little things please little minds as they say. 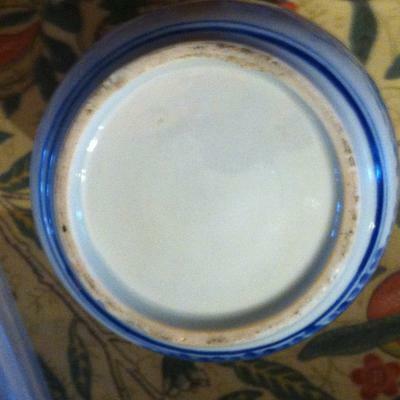 The glaze has thousands of little bubbles! I really appreciate your input. It may be a little far for me to come to ask you for a hands on look (!) however if you think its worth it I will try to find a local expert. Any ideas how I might start to do this would be appreciated. I would also be glad of any other comments from other members out there in the ether. This looks like a tea caddy. The first impression the painted decoration gives is that it looks Japanese. Not completely sure if it is, however. The back on the other hand looks as if it could be printed. The shape and collar could point to early Qing. The tone of the blue color makes it improbable that it is transitional period, in my view. The color would be more likely Japanese or 20th century. However, I cannot make up my mind what it is from these pictures alone. In this case I would need a hands-on inspection. 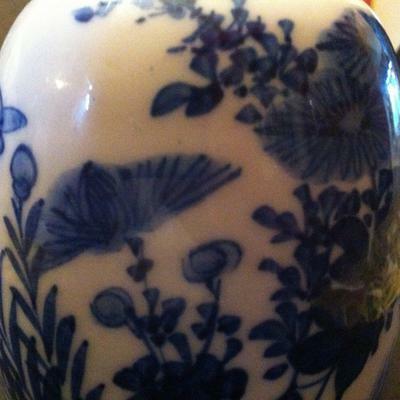 Have you tried showing it to an antique dealer specialized on Chinese porcelain in your area?